With all my Heart (Mixi Heart): BOM's and quilting Holiday LoVe! 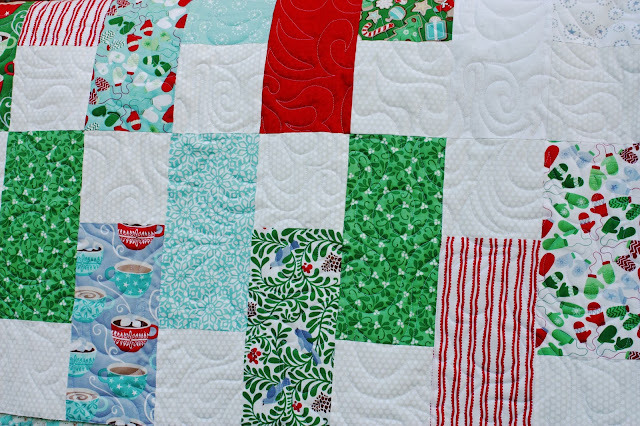 BOM's and quilting Holiday LoVe! I am so excited to share what I am going to be working on very very soon. 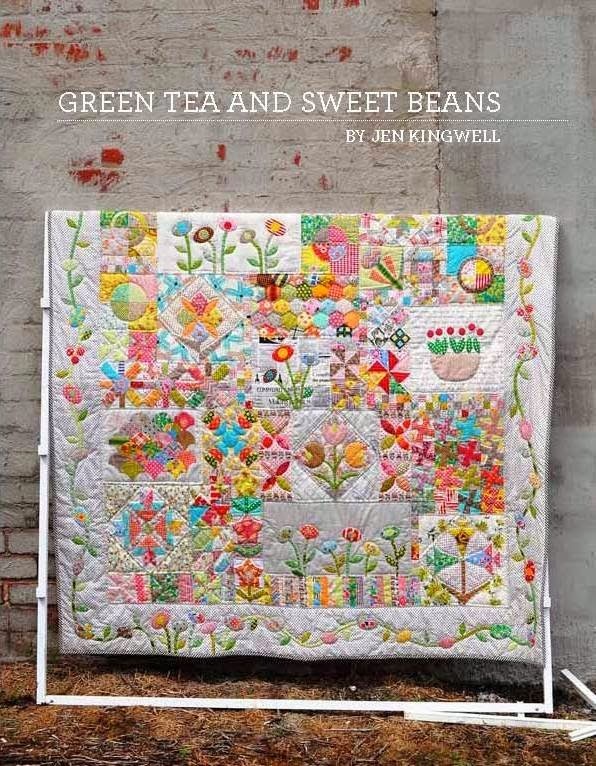 I was lucky enough to choose a pattern and teach our BOM for my Quilting Guild this upcoming year and of course I have picked our Sew Need a Break's newest pattern! Yay! Two patterns I am so tickled to start :) amongst all the patterns I am working on myself ;) Oh Geez, Louise. 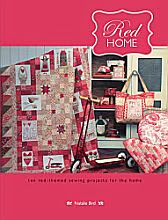 Next up - the Red Home Quilt in Natalie Bird's newest book. I love her really traditional use of fabric and color. I personally love a little bit of embroidery work because I tend to spend too much time back in the sewing room. 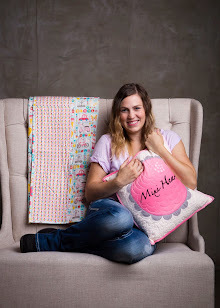 Hand Embroidery gives me a chance to spend time with my family on the couch while stitching. It is a win win. She was a fantastic lady to meet at Market. She did an amazing job displaying in her booth. On the Long Arm side of things I wanted to share two of my favorite quilts I have just quilted. 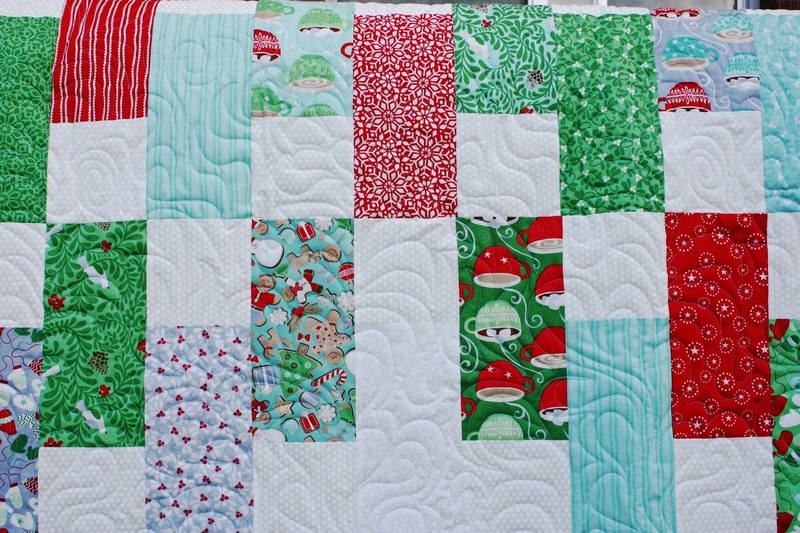 This Christmas quilt could not have been more perfect in my opinion. The fabrics are to die for and it has made my anticipation for Christmas grow tremendously. It might be a combination or the fabric with the fact that Christmas shopping is in full swing here in this house. I have narrowed down my list and am checking it twice. The checks are that I have bought it and stashed it... It is not whether we have been good or bad because let's face it, we are always good and bad at one point or another. I have to show you my most treasured piece of fabric right now which is convenient because it just happens to be in this sweet quilt. It is the snowman print. That might be another reason I love this quilt is because it has this most favorite fabric of mine right now. I only have a yard and I am thinking should I've bought more? It seams you can never buy too much of a good thing but it gets tricky when there are too many good things. 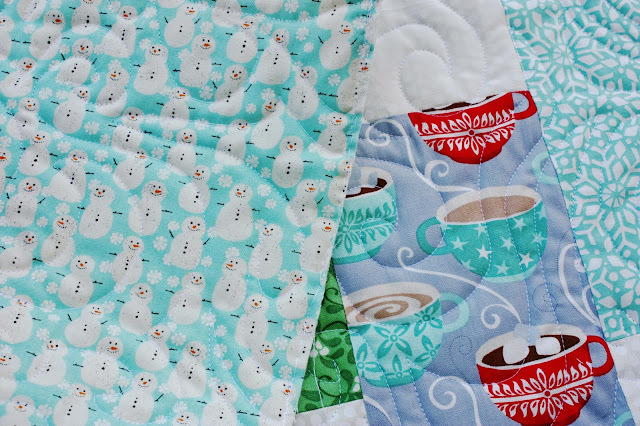 Just one more shot of the quilt I love. I quilted it with an all over pattern I have. It was perfect for this quilt and more importantly my tension was PERFECTION. Curse adjusting tension. It is the worst but this time I can not complain in the slightest. Lastly, I was able to use some of my circle rulers. 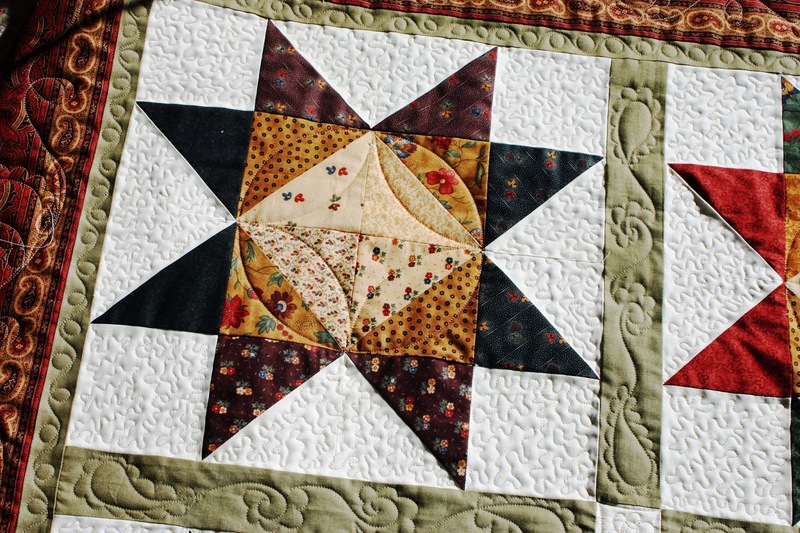 This quilt below shows how in the center of the block. 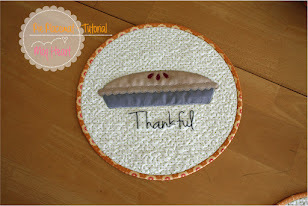 This quilt also is the perfect colors for this ThanksGiving Season. So appropriate. I posted this quilt on my Instagram a bit back. I can hardly wait to use some more of the templates I just got. Itsn't crazy how the minds envisions all the possibilities and it seems like you can hardly wait a minute to get those out. I have a table runner on the frame right now waiting for me to jump on it. I hope you are all enjoying the holiday season and I am sending out Holiday LoVe to everyone. It sure brings a smile to my face and warms my heart. They are all looking so good! I love the Christmas one. It's so exciting to start the Christmas shopping. It makes winter seem not as bad :) P.S. thanks for getting that shirt to my mom. I'm excited to have it back!